If you've been using computers for long enough, you might have once, twice, or even frequently pressed the Caps Lock key accidentally. Moreover, it doesn't do any favors that the Caps Lock key is right above the Shift key. When the Caps Lock is active, you will not only see a tiny little light on your keyboard turn on but everything you type is capitalized. Unless you are trying to yell at someone, using all uppercase words is not a good thing. The problem is, Windows doesn't offer any easy to find or use options to disable Caps Lock key on your keyboard. However, using free software like AutoHotKey or registry edits you can turn off Caps Lock key on Windows 10. In this post, I will show two ways to turn off Caps Lock key in Windows 10. The first method uses AutoHotKey. AutoHotKey is a simple and free software that is mainly used to create custom shortcuts for various things on Windows 10. But, you can do much more than that. In fact, I've recently written a quick guide on how to put a Windows always on top using AutoHotKey. The second method uses registry edit to disable Caps Lock key. If you don't like installing software and don't mind registry edits, follow the second method. Using AutoHotKey you can do many things. One of those things is the ability to disable any key on your keyboard. In our case, we will disable the Caps Lock key using AutoHotKey. First, download and install AutoHotKey. 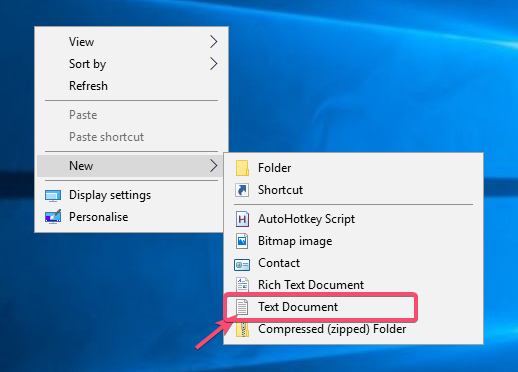 After installing, right-click on your desktop and select "New -> Text Document". In the text file, copy and paste the below code snippet. 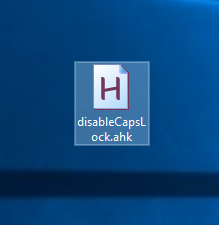 Rename the text file to disableCapsLock.ahk. Make sure that you replace .txt file extension with .ahk. This file now becomes an AutoHotKey script. Double-click on the newly created file. The script starts to run. You can see it in your taskbar. That is it. Try to press the Caps Lock key while the script is running and you will see that the Caps Lock won't turn on. If you want to use the Caps Lock key, exit the script by right-clicking on the taskbar icon and selecting the "Exit" option. Alternatively, you can also pause the script by selecting the "Pause" option. Alternatively, you can also modify the registry to disable caps lock key on your keyboard. Before making any changes backup registry and then continue. To make things easier for you, I've created a .reg file that disables or enables the Caps Lock. 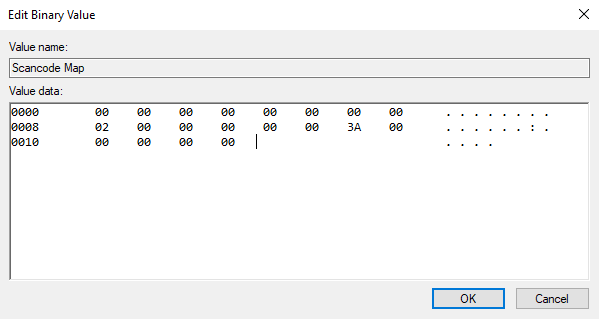 If you want to, you can open the reg file with Notepad to see which key and value is being modified. To disable Caps Lock, download this file, extract it to the desktop, right-click on it and select "Merge". Click on the "Yes" button in subsequent Windows. To enable Caps Lock, download this file, extract it to the desktop, right-click on it and select "Merge". Click on the "Yes" button in subsequent Windows. Search for regedit in the start menu and open it. 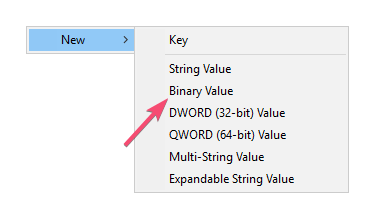 Right-click on the right-panel and select "New -> Binary Value". Name the value as "Scancode Map". Type in the following binary value in the Value Data field. That is it. You've successfully disabled Caps Lock key on your keyboard. If you like this article, do check out how to open emoji panel on Windows 10 and how to disable reserved storage on Windows 10 to free up some space.